Published: Sept. 19, 2013 at 11:17 a.m. Updated: Sept. 19, 2013 at 03:27 p.m. Preparing for Chip Kelly's offense is not like preparing for any other team. "You got to do extra studying, you have to prepare differently, this mental aspect of the game," linebacker Derrick Johnson told NFL Media's Stacey Dales. "It's not a regular pro-style offense." So how much extra film do you have to watch? "Double the amount," Johnson said. "When you're at home, instead of going over 30 minutes or an hour, you're gonna look at about two hours." 1. The Chiefs are the first team to start 2-0 after winning two or fewer games the previous season since the 2002 Panthers. They've done it with great defense and timely, efficient offense. They are 5 for 5 in the red zone thus far. 2. Kansas City broke out a decent amount of read-option and pistol formation plays against the Dallas Cowboys last week. They worked. Alex Smith's running keyed one of the team's two touchdown drives. Look for Andy Reid to build this game around Jamaal Charles' running. Smith's legs will be a factor too. 3. The concern with the Chiefs' offense: It's not explosive enough to put up big points against a shaky defense like in Philadelphia. Smith is not throwing the ball outside the numbers much. He had one key 31-yard throw last week to Donnie Avery, but that play has been the exception on a dink-and-dunk offense. Charles leads the team in receptions. 4. This is easily the best defense that the high-flying Eagles have faced so far. Cornerback Brandon Flowers is a tough matchup for DeSean Jackson. Nose tackle Dontari Poe is having a breakout season so far, a great inside complement to outside pass rushers Justin Houston and Tamba Hali. Safety Eric Berry looks healthy again. Johnson, an inside linebacker, is one of the best at his position. "It's one of those things you've just got to experience to see," safety Quintin Demps told The Kansas City Star. "On film, you can't really tell. But we'll be able to tell Thursday night what's going on." 5. The scariest part about the Eagles' offense is how many plays they have left on the field. Michael Vick -- the oldest player on the Eagles' roster -- set a career high in passing yards in Week 2 even though the team held the ball under 20 minutes. The Eagles just missed three more big plays that would have made their numbers ridiculous against San Diego. Vick is not afraid to pull the trigger on deep passes. He's making the right reads in Kelly's offense, even if he's missing a few throws. He chooses what option to go with after the snap, and the right option last week was a whole lot of vertical passes. The Chiefs have a very talented secondary that will test Philadelphia's receiver depth. This is a matchup of strength on strength when the Eagles have the ball. (And weakness on weakness when the Chiefs have the ball.) We think it will be a fascinating game, even if the entire Around the League crew likes the Eagles to win. After all, how can you watch double the film in only half a week? 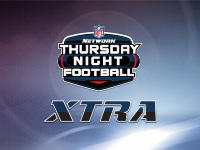 The latest "Around The League Podcast" previewed "TNF." Click here to listen and subscribe.